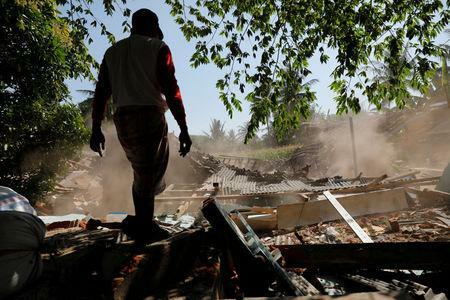 JAKARTA (Reuters) - The number of confirmed deaths from a strong earthquake that hit the Indonesian island of Lombok on Sunday has risen to 259 and would rise as more victims are found in the rubble, the disaster mitigation agency said. "The 259 number of deaths are those who have been verified. This number will continue increasing as rescue teams continue to find victims under collapsed buildings," the agency said in a statement on Thursday. The death toll was 131 a day earlier.